Back pain is the number one reason people visit their doctor and nearly nine of ten will experience at least one episode of back pain in their lives. It can be debilitating in some cases, causing the sufferer to make a number of unwanted changes in lifestyle including giving up activities they normally enjoy. Back pain can also mean missing work and the inability to hold down a job. Using improper body mechanics when lifting, stress, weak core muscles and physical injury are among the most common cause of back pain. There can also be other underlying causes such as spinal problems that are difficult to detect without a thorough examination. There are number of ways to treat back pain and the treatment chosen depends on the cause and severity of the pain. Pain medication is often prescribed along with rest and inactivity. Conversely, some physicians recommend walking and other activities to help relieve back pain in those cases where muscle weakness is the contributing factor. Hot packs, cold packs and muscles relaxers help some patients with ultrasound treatments and traction required to treat severe cases. Typically, surgery is considered a last resort for most back patients and is only effective in certain types of patients. Results are mixed with many patients experiencing little or no relief. Thus, the risks of surgery must be wisely weighed against the probability of gaining a positive result. This unique, yet very effective method to determine the cause of back pain is based on the mesencephalon, which is found in the upper part of the brain stem. A thorough neurological exam is needed to determine if changes in mesencephalic output are contributing to the patient's pain. 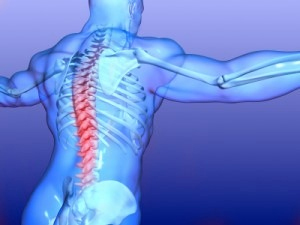 In many back pain patients, a high mesencephalic output may be a contributing factor. A high output of the mesencephalon can effect sleep, cause an increase in pulse and heart rate, touch off a urinary tract infection and cause increased sensitivity to light. Along with a high mesenphalic output, the low back pain patient may have a decreased output of the cerebellum (in the rear of the brain), which controls involuntary spinal musculature. If the cerebellum is not functioning as it should, localized back pain can appear near or around the spinal area. If you would like to have more information or to set up a consultation and see how we can help you (or someone you know), with back pain, give us a call 630-858-9900 to schedule an appointment to see if you are a candidate for these breakthrough procedures. Caused by injury, infection, irritation or inflammation, neck pain can be quite troublesome and it's important that you seek treatment before the condition worsens. If gone unchecked, the natural forward curve of you neck may become straight or even reverse its curve which can cause a multitude of problems. Yours may experience bony growths (called "spurs"), thinning of the discs-even deterioration of muscles and ligaments can occur. Because these changes are not always painful (or not painful enough to cause you real concern), it's important that you have a thorough examination, including X-rays or an MRI exam if indicated. 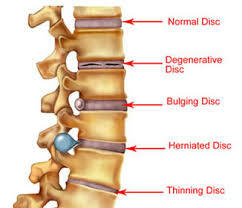 For example, spurring, lipping, or the presence of osteoarthritis are in fact, defense mechanisms that attempt to stabilize an off-balance spine. The latest research and medical consensus shows that chiropractic (manipulative) care can reverse these effects in many patients. Pain in the neck, shoulder, hand, arm or head is often brought in three ways: irritation of the cervical nerve roots in the region of the intervertebral foramen, encroachment of the blood supply through the vertebral canal, or invasion of the cord in the spinal canal. 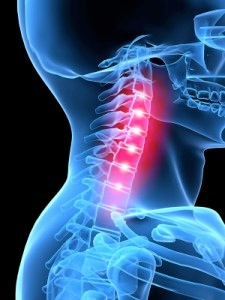 A neck injury, such as whiplash suffered in an auto accident, also can be the cause of these conditions even though neck pain may diminish over time. For today's neck pain patients, a new approach to treatment and prevention is showing great results. A thorough neurological examination often reveals a part of the nervous system that is not functioning properly. In the case of patients with neck pain, a high mesencephalic output may be part of the cause. Your brain stem is made up of three parts: the top, middle, and lower, with the mesencephalon located in the upper part of the brain stem. High mesenphalic output can cause increased pulse and heart rate, sensitivity to light, sleep problems, urinary tract infections or the sense of increase warmth or sweating. Patients with a high mesenphalic output sometimes also show a decreased output of the cerebellum. Responsible for controlling involuntary spinal musculature (among other functions), the cerebellum, if not performing properly can contribute to neck pain and discomfort. Neck pain (along with shoulder, hand and arm pain) is quite often a complex and difficult problem. That's why it's critical that you have a complete and thorough examination to help recognize the problems and chart the correct course for treatment. Because the problems causing the pain may go unnoticed, it's imperative to be examined as soon as possible. If you would like to have more information or to set up a consultation and see how we can help you (or someone you know), with your neck pain, give us a call at 630-858-9900 to schedule an appointment. 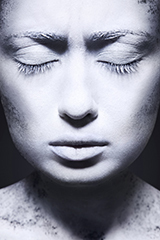 Fibromyalgia is one of the most misdiagnosed, misunderstood and mistreated conditions in health care today. Have you been told that it is a muscle or myofascial problem, or have been made to feel that it's somehow your fault, or that you are making up your symptoms? You are not alone. Fibromyalgia is a degenerative disease that affects approximately 3.7 million Americans according to statistics (National Women's Health Center). Of this number over 90% of the sufferers of fibromyalgia are women. People who suffer with fibromyalgia experience a chronic burning, shooting, throbbing, and stabbing pain that at times can become quite excruciating. I promise I will not brush you off, and know that Optimal Health & Wellness Center has a unique treatment for fibromyalgia. You see, fibromyalgia is a neurological problem. Over the past ten years, hundreds if not thousands of studies have been published showing that fibromyalgia is a problem with malfunctioning parts of the brain. It's not that your doctor didn't mean well, but unless they have researched and studied fibromyalgia in detail, they don't understand why you have symptoms like fatigue, insomnia, irritable bowl syndrome, fast heartbeat, depression and problems with your memory. Because your doctor doesn't understand the cause of fibromyalgia they also don't know how to treat you without giving you a medication that only attempts to cover up your symptoms, and fails to treat the cause of your problems. Unfortunately, the result of not getting the care you need, means you end up suffering with a treatable condition, that ruins your quality of life. Before I studied fibromyalgia in detail, I didn't realize that in addition to treating you neurologically, we also had to treat you metabolically. In addition to having a neurological problem, fibromyalgia sufferers often have hormone imbalances, food allergies, gut infections (yeast, fungus, viral and bacterial), problems regulating blood sugar or your thyroid and nutritional deficiencies. Click the following link to learn more about our unique approach to treating fibromyalgia and chronic fatigue: ??? You see too that if you are not treated neurologically AND metabolically, the treatment will NOT work. This is why antidepressants, and antiseziure medications don't get you better, and at best only give you temporary relief. Many health care professionals prescribe anti-depressant or mood altering medications. These treatments temporarily mask the symptoms of Fibromyalgia, Chronic Fatigue Syndrome and Unrelenting Fatigue; they DO NOT lead to a long-term solution. If you really want to be better, you have to treat the cause of your problem. There is hope for you today. Please call Optimal Health & Wellness Center at 630-858-9900 for your consultation TODAY. You can overcome neuropathy without taking addictive, potentially harmful and expensive medications with Dr. Susan Kelenyi's treatment. She offers a non-invasive, non-drug alternative for your neuropathic pain, no matter its' origin. Whether you have diabetic, post-surgical, peripheral pain or "restless leg syndrome". Dr. Kelenyi will start the corrective process in our office and create a home maintenance plan based on your needs. If you are interested in scheduling a consultation, you may reach Dr. Susan Kelenyi at 630-858-9900. This is a serious condition and should not go untreated. 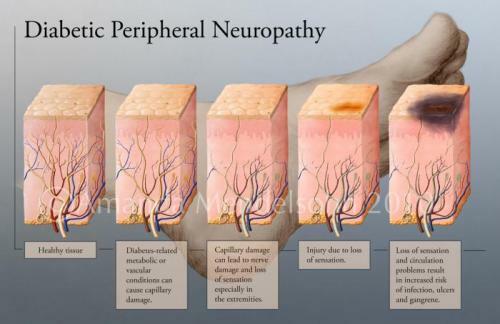 Peripheral neuropathy is a disorder of the peripheral nerves-the motor, sensory and autonomic nerves that connect the spinal cord to muscles, skin and internal organs. It usually affects the hands and feet, causing weakness, numbness, tingling and pain. Peripheral neuropathy's course is variable; it can come and go, slowly progressing over many years, or it can become severe and debilitating. However, if diagnosed early, peripheral neuropathy can often be controlled. Why have we heard so little about peripheral neuropathy? Is it a new disease? Peripheral neuropathy is common. It is estimated that upwards of 20 million Americans suffer from this illness. It can occur at any age, but is more common among older adults. A l999 survey found that 8-9% of Medicare recipients have peripheral neuropathy as their primary or secondary diagnosis. The annual cost to Medicare exceeds $3.5 billion. Peripheral neuropathy has always been present, but has not received much attention. Its extent and importance have not yet been adequately recognized. It is apt to be misdiagnosed, or thought to be merely a side effect of another disease like diabetes or cancer or kidney failure. The development of new therapies has unfortunately been slow and under funded. There are many causes of neuropathy. Approximately 30% of neuropathies are "idiopathic," or of an unknown cause. In another 30% of cases, the cause is diabetes. Other neuropathy causes include auto-immune disorders, tumors, heredity, nutritional imbalances, infections or toxins. Legs: Usually caused by damage to the motor nerves, leg symptoms often include difficulty walking or running; a feeling of "heaviness" in your legs; finding it takes a lot of effort just to climb the stairs; stumbling or tiring easily. Muscle cramps may be common. Arms: In the arms, you may find it difficult to carry groceries, open jars, turn door knobs or take care of your personal grooming. A common frustration is dropping things. Sensory nerves, when damaged, can cause various symptoms. Early on, there may be spontaneous sensations, called paresthesias, which include numbness, tingling, pinching, sharp, deep stabs, electric shocks, or buzzing. These sensations are usually worse at night, and sometimes become painful and severe. You may also experience unpleasant abnormal sensations when you touch something, sensations called dysesthesias because they are caused by stimuli. Or, you may find yourself feeling nothing at all, in this case experiencing anesthesia, a lessening or absence of sensation. When you lose the ability to "sense" or feel your feet, you may find yourself being uncoordinated because when you walk because you are not sure about the placement of your feet. Patients may find themselves walking differently without really knowing how or why they are doing so. Chances are they have either widened their style of walking (in an unconscious effort to keep their balance) or they may be dragging their feet. • "Glove and Stocking Sensation"
This phrase describes what doctors call a patient's odd feeling of wearing stockings or gloves or slippers when, in fact, the patient's hands and feet are completely bare. When it occurs, autonomic nerve damage can potentially cause: a drop in blood pressure and, consequently, dizziness when standing up; intestinal difficulties such as constipation or diarrhea; sexual dysfunction; thinning of the skin (with susceptibility to bruising and poor healing), and other symptoms. If you are interested in scheduling a consultation, you may reach Dr. Susan Kelenyi at 630-858-9900.This is a serious condition and should not go untreated. Your thyroid, or thyroid gland (located in the neck area), plays a major role in controlling how quickly your body uses energy. It also is responsible for making proteins and it controls your sensitivity to various hormones. Because the thyroid has a direct effect on the heart and other organs, it's very important that it functions as it should. 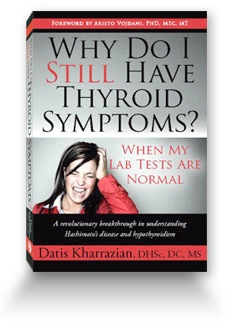 The production of the hormones triiodothyronine (T3), thyroxine (T4), and calcitonin is carried out by the thyroid. These hormones aid organs such as the spleen, liver, and kidney and spleen. Brain cells are a major target for the thyroid hormones T3 and T4 and these hormones are particularly critical to the development of the fetus. The thyroid also plays a role in calcium levels in the blood and aids in a child's growth and development. Traditional treatments such as beta blockers to reduce symptoms are used and anti thyroid drugs that block thyroid hormones are sometimes recommended. In most cases, these drugs need to be taken frequently (such as one pill every eight hours) so some patients look for other treatments (surgery is used in difficult cases). Hypothyroidism is often treated with hormone replacement therapy. In many cases, it takes a few weeks for drugs to become effective. If you would like to have more information or to set up a consultation and see how we can help you (or someone you know) reduce the effects of hyperthyroidism or hypothyroidism, call Optimal Health & Wellness Center at 630-858-9900. Sciatica is a condition defined by injury, compression or inflammation of the sciatic nerve (at lumbar nerves L4 or L5 or sacral nerves S1, S2 or S3) and can be quite painful and troublesome. Typically, the pain appears along the back of your legs and thighs, ankle, foot and toes. It can also radiate to your back causing even more discomfort. Additional symptoms include those that are nerve-related such as pins and needles, a burning sensation, tingling and numbness in the leg. Many patients also report pain in the front of the legs and hips while other remark that experience pain in both legs (a condition known as bilateral sciatica). On a scale of one to ten, pain from sciatica is often report as a five (moderate pain) and above. Many patients remark that the pain is aching and throbbing, while other use the words "knife-like" or "stabbing" when describing their pain. Sitting, walking or standing can be very difficult if not impossible. Changing positions when sitting or lying in bed offers pain relief to some and many patients uses pillows to find the most comfortable position. Most, if not all patients report having trouble sleeping. Some have trouble controlling the affected leg, leading to more restrictions on their activities. 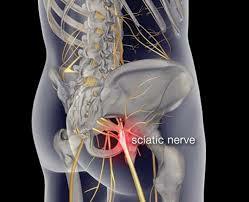 There can be a loss of reflexes or even a wasting of your calf muscles in cases where the sciatic is severe. Mostly, the effects are manifested in limited activity by the patient including missing work days, changes in daily routine and avoiding otherwise pleasurable activities. Chiropractic manipulative therapy can be quite effective for many sciatica sufferers and many patients show improvement in a few days. Changes in behavior as simple as no longer carrying or sitting on a wallet in the back pocket can prevent future bouts with sciatica. Pain medication are not known to offer much relief and there is little evidence the anti-inflammatory medication hastens recovery. If you would like to have more information or would like to set up a consultation to see how we can help you (or someone you know) with Sciatica pain, give us a call at 630-858-9900 to schedule an appointment.